Commemorating the discovery of Wisconsin in 1634 by Jean Nicolet, emissary of Governor Champlain of New France. 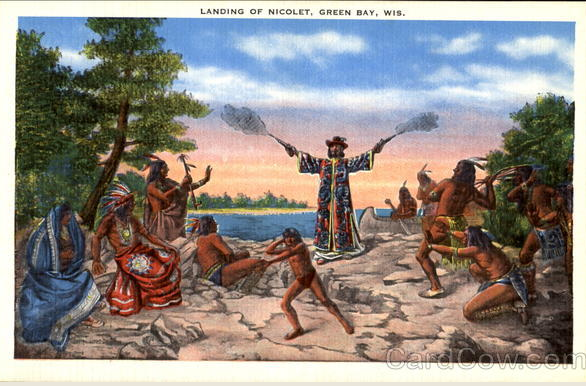 In this vicinity Nicolet first met the Winnebago Indians. 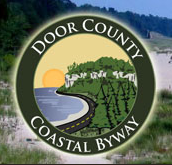 Unveiled August 12, 1909, by members of the State Historical Society of Wisconsin and the Green Bay Historical Society. See also, Samuel de Champlain / Jean Nicolet, also at this location. Samuel de Champlain / Jean Nicolet, visible to the left, is also at this location. Looking west across Green Bay from the marker location. The entrance to the park . . .